At 55, I find myself in the middle of life looking at a career change. After 20+ years of working in I.T., my position was "eliminated"-I took a part-time job and found that the job market for I.T. professionals is geared more to the newly graduated 20-somethings and frankly was NOT looking forward to living the rest of my 'working' life in a cube. SO I noticed the Technical school near my home had a nice trucking program. I used to kid myself that "if everything else fails, I can go to trucking school"-I've always had a fondness for driving long distances, away from the routing commutes and traffic hassles. I drove local delivery in the Atlanta area for 8 years and loved it! 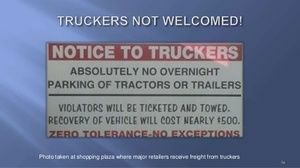 Then I saw a program on the History channel about truck stops and how FAR trucking has come. Internet access, comfortable cabs and sleepers, modern trucks, etc. SO I thought I would drop by the school just to look into the costs, length of program, etc. and found it was actually QUITE affordable and only took 7 weeks! SO I signed up, and here I am, studying the CDL training program here on Trucking Truth (EXCELLENT study aid!!! )and reading as much as I can. My goal is to become as SAFE and PROFESSIONAL a driver as possible. My plans are to be a long-haul driver for at LEAST a year and maybe switch to regional or local driving later. Looking forward to my NEW ADVENTURE!! It's been a while but here I am again on TT. I was close to becoming a trucker a few years ago, had my CDL learners permit and some training on backing, etc. but bailed at the end of my tech school training to go back to IT work. The thing is I'm SICK of IT, doesn't pay nearly what it used to, and it's saturated with kids working for 12.00/hr. I still feel that "what if?" every time I see a truck pass me. I'm currently a printer technician travelling around throwing parts at old dirty and greasy printers. Could be the WORST job I ever had. BUT I just turned 60, and I just gotta know if trucking is for me.!!! I just don't want to work the next 10-12 years not enjoying what I'm doing. There's too much to see! I love driving around Atlanta and the suburbs just for the joy of driving. I'm single, no kids, it's just me. I'm on the road 10-12 hours a day ANYWAY, and, like I say, I see these big rigs cruising through Atlanta and I think to myself "yeah" THAT'S what I wanna do!! I'm close to Millis trucking school in Cartersville Georgia and I'm thinking about starting the application process. I just GOTTA try this or I'll regret it, like I already regret not finishing CDL school when I had the chance. Thoughts on an old 60 year-old hitting the high road???? Thanks Heavy C! This post was really helpful for me. I'm currently in school, but am convinced more and more everyday that I do NOT want to be OTR. I want a local gig like you have. A recruiter came in today, and pretty much repeated the same thing we heard from OTHER recruiters, BUT THIS guy said" we're gonna take you out of your 900-1200 foot home and put you in a 6x8 foot box to live in". I think he was just "being real" and I read between the lines of what he was saying...That hit home for me.. One of our instructors is encouraging us to apply for feeder drivers at UPS. It's a daily gig that pays well. That's going to be my first effort. IF it comes down to it, I'll just have to keep applying like you did...But I'm 98% sure OTR/long haul is no longer an option...Too old and too tired for living in a box, while I have a home that I worked hard for sitting here empty..
FIRST day on the range at Chattahoochee Tech!!! Wow...FIRST day on the range, with straight backups and offset driver's side backup...We have 2 excellent instructors, very patient and encouraging. We all had a BLAST! The director of the program told us that our class was one of the BEST he's had in a LONG time! (he was actually able to leave early and leave it to the assistants! )-I did OK on the initial straight line backups, had a bit more trouble with the offset, but was able to get 'er in there with only 2 cones knocked down...Then I went, hopped in a truck, and started straight backing again..Silly trailer kept wanting to drift to the left, no matter how much I adjusted...I think my mind kept trying to treat it like a car and I just had to stop and THINK for a second, I could get the trailer straight, but then my tractor was right at the cones on the driver's side...I was getting frustrated and just shut it down for the day..The HEAT on the range was a bit more than I expected though...I'm sure I'll get it...I was pretty tired at the end of the day, but elated that I actually drove a BIG RIG!!! Stay tuned...more to follow!!! UH-OH!! Get yer wives and kids OFF THE ROAD!!! I got my CDL AP (learner's permit) today! About a 98 on air brakes, about an 88 on the General Knowledge, 94 on combination vehicles, and 100 on tankers! It's getting more real! We start trip planning tomorrow!!! Hired at Con-Way ... Everything was great! No doubt this is the FINEST training system on the Internet. The BIGGEST reward I am seeing is the confidence I have in my classes, and the ease of understanding the material, and doing well in the practice tests we have in class..NOW if there was only an on-line training system for double-clutching!!!! THANK YOU BRETT!!! d). In case you need to test your brakes. Pretty common sense right? and it sort of goes with the information given on Trucking Truth. Just worded a WHOLE lot different...I found out that I just have to be REAL careful and read the question like 3 times to get the full meaning and then choose the BEST answer, since the system we use here uses a memorization technique. Just thought I'd point that out. We'll see what the REAL deal looks like Thursday!!! Our instructor told us last week that the FIRST attempt has an average 100% failure rate...SO maybe they're just trying to keep the average up??? Thanks guys, We had a guy come in today and he was spewing rainbows and roses. After he left, we (our class) kinda dissected what he was saying. so yeah, we take what they tell us now with a grain of salt (even our instructor confirmed what we were saying). I've spoken highly of you two guys in particular and pointed this site out to several classmates, so maybe you'll see some posts from them. Second day of class complete! more fun, videos, test prep, etc...but we had a couple of folks come in from a local poultry company here in Marietta Georgia, that's looking for drivers. I was intrigued and visited their website, and they are a small Christian-based, family owned company! They have excellent benefits, hourly pay and I'm home EVERY weekend! (FOOTBALL on MY BIG SCREEN and in my RECLINER! )-They are reefer/flatbed as they deliver and pick up poultry.They deliver/pickup as far away as Illinois and regionally here in the south. At MOST I'll be gone overnight 2-3 days-perfect!!! maybe 5 hours of driving ( on average) per day, and they PAY you hourly while waiting to be loaded/unloaded, averaging about 84 hours per week, including bunk time!! They will PAY me to sleep!!! No big company,corporate crap to deal with, Fairly small fleet, and mostly side roads, no expressways as I will be picking up and delivering to poultry farms across the region. I'm sold!! Already sent them my contact info and will be in touch with them as soon as I get my CDL.. I'm 75 years old and want to know if I'm being a foolish old man by wanting a CDL A license and starting a career as a truck driver? If you have an android tablet I would use XBMC. As long as you have service either WiFi or cell you can get any game from any sport. I use it on my phone and it's excellent. Did I mention yet that it's free. I will DEF check it out! I like free!!! Thanks! If your going to be streaming the games better make sure to have Verizon since they have better and wider coverage than AT&T. oh yeah, I've already talked to the Verizon folks and will be swapping over to them once I'm committed and EMPLOYED! 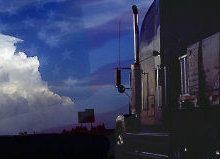 I have the utmost respect for both professional truck drivers and members of law enforcement. 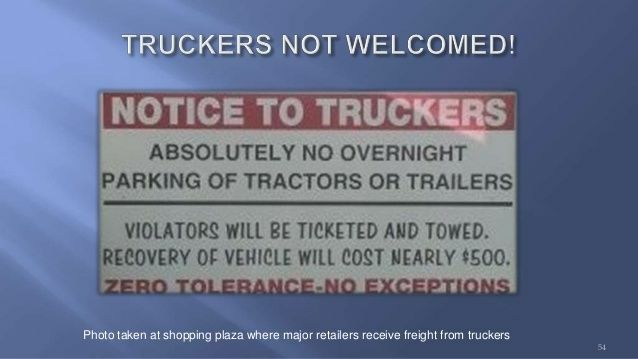 That being said, while the truck driver may have been correct, he was a bit of a d-bag (can I say that here?). Throughout the interaction, the officer kept his professional demeanor in spite of the trucker "poking the bear" so to speak (pun intended). Yeah, I saw this and I agree, Driver COULD have been a little less of a jerk. Ok guys, I KNOW I'm not the only football nut here. Die hard dedicated Falcons fan, and if everything works out, I'll be starting training with my trainer around the first week of the season. I HAVE to be able to watch or listen to the games!!! I'm thinking of signing up for the NFL Network season pass for $69.00-that gets you full access to 256 games, all playoff games and more, on demand. Has anyone else signed up or used it?